Roddy offers a high quality and very experienced service to his clients. 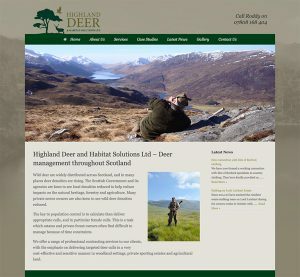 Offering deer management services throughout the Highlands of Scotland. Roddy selected one of our great low cost website packages which gave him a well designed site that works well on mobile devices and he also has the option to update the website himself.